Grant de Jongh is the CEO of The Recruiter. In this interview we talk about the business of a professional recruiter. He is a valued client for many years and provided us with various tips of the trade related to recruiting. We also discussed his morning rituals and daily habits in his life as an entrepreneur. Grant is a professional recruiter, with his passion for the construction and engineering industry. He assists established and new construction companies. He loves the personal touch with clients and business associates. They do detailed reports on the potential candidates. Tips: Be careful how you market yourself on social media. Do not ever bad mouth your current or previous employers. Drink coffee first thing in the morning, before he speaks to anyone. After coffee in the morning, make a list of priorities. He frequently checks and updates this list to make sure he is still on track. He never let his days' plan, flow over to the next day. Eliminate news as far as possible. Its primary aim is to create fear. Stay away from parties in the week. When you play, play hard, but not to the detriment of your business. WhatsApp, because he needs a lot of information consistently from his clients and recruiting employees. 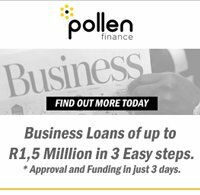 Any last tips or advice to new entrepreneurs? Be passionate about your business.You can never communicate enough.